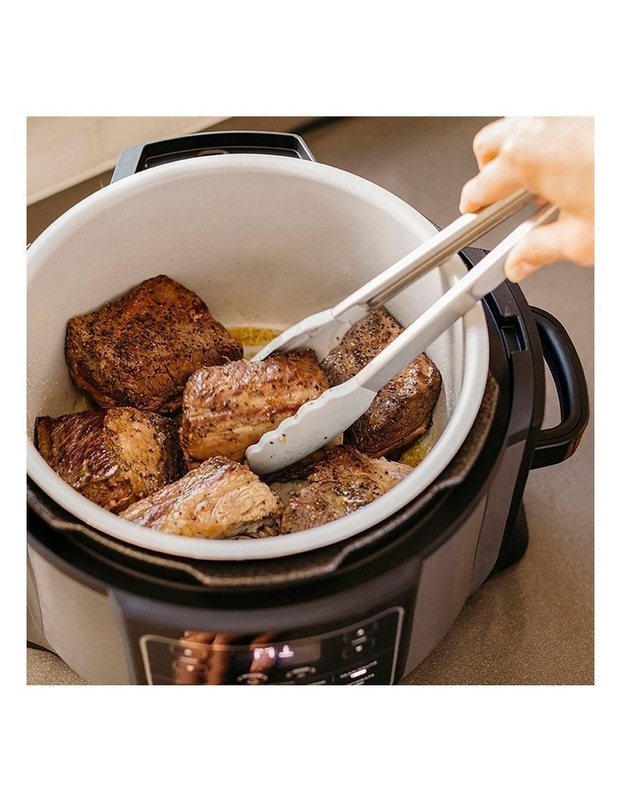 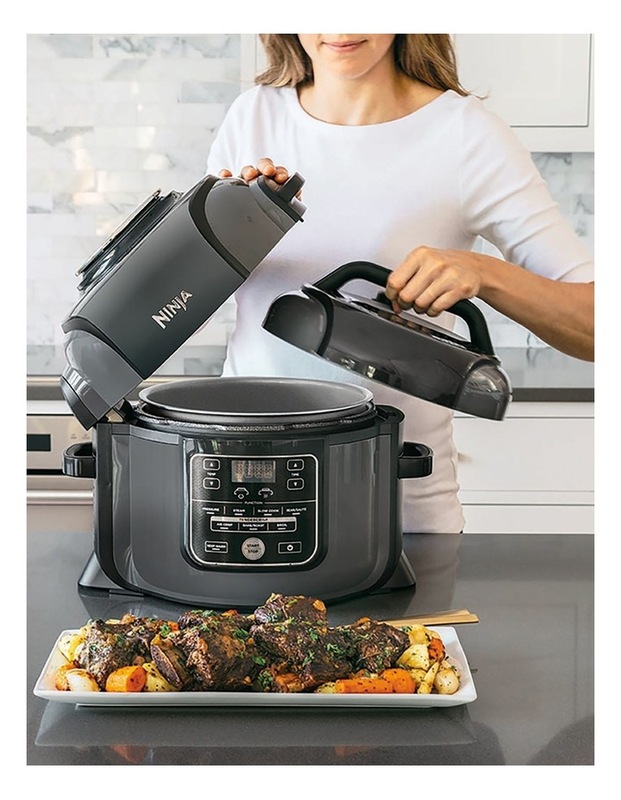 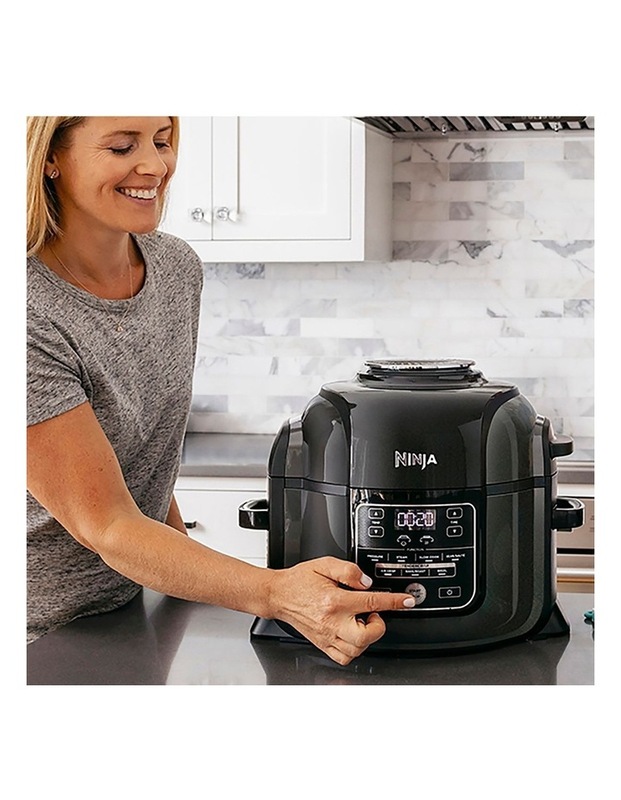 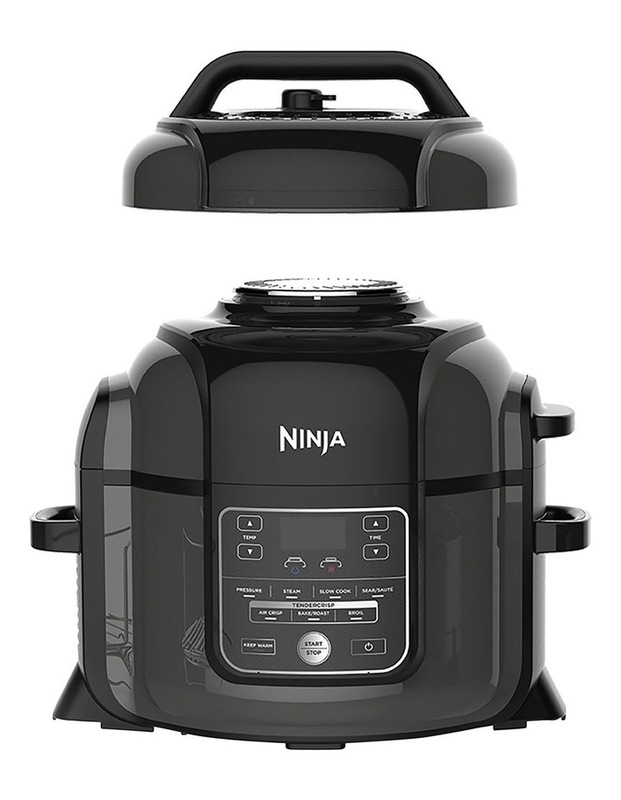 Ninja Foodi is a unique all in one cooking device that replaces a Pressure Cooker, Air Fryer and Slow Cooker. 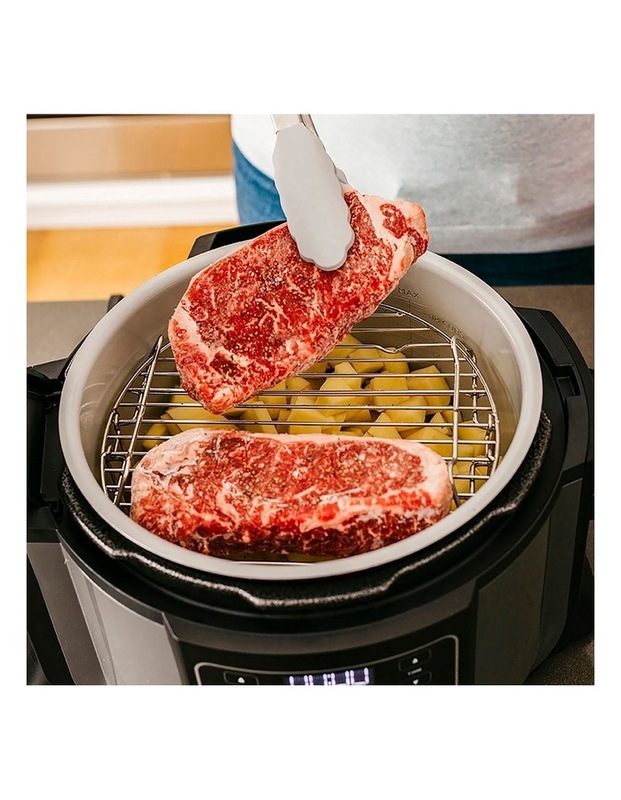 You can grill, steam, bake, roast, pressure cook, air fry, slow cook and fry, all in one compact kitchen machine. 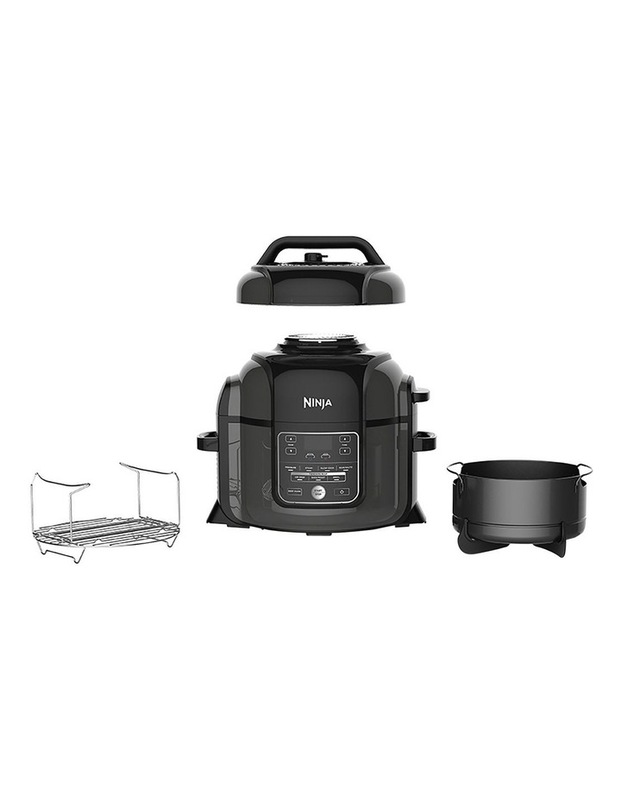 The reversible layered rack allows you to create complete meals in the one appliance. 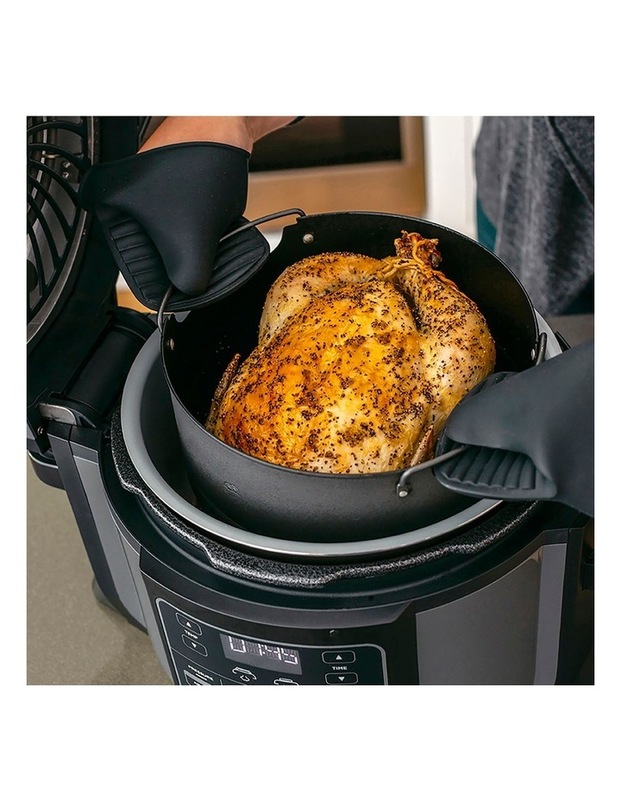 Capacity and air-flow design allows you to transform a whole chicken from fresh to crispy in 40 minutes.